Installation Flexibility—Wide throw ratio of 1.36-2.18:1 and manual lens shift range of +/- 60 percent vertical and +/- 23 percent horizontal helps provide installation flexibility. 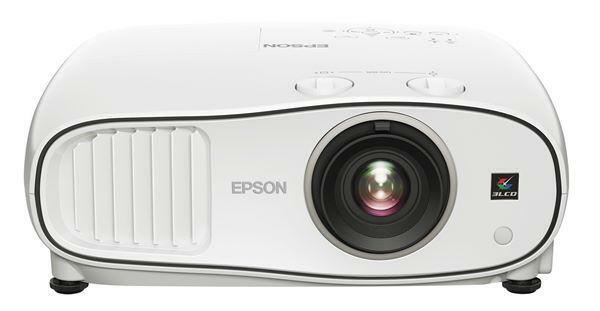 The laser light source, which offers up to 20,000 hours(2) of maintenance-free operation, expands this further as the projector can be mounted in virtually any position, including a portrait projection position. Image Quality Adjustment Options—Offers both pre-set and customizable image modes, as well as a 6-Axis Color Adjustment function that allows users to fine-tune the hue and saturation of each of the primary and secondary colors, providing a high degree of control to the users’ preference. DICOM® Simulation Mode(3)— Includes a DICOM® Simulation Mode which can be ideal for those in the medical education and training field who require displays with superb grayscale gradation for monochrome digital X-rays, CAT scans and MRIs. This mode simulates the results of devices compliant with the Digital Imaging and Communications in Medicine (DICOM) Part 14 standard. Versatile Connectivity— Offers dual HDMI inputs and an HDBaseT receiver which allows uncompressed HD video, audio and control signals through one single LAN cable (max distance of 328 feet). Canon U.S.A., Inc., is a leading provider of consumer, business-to-business and industrial digital imaging solutions to the United States and to Latin America and the Caribbean markets. With approximately $36 billion in global revenue, its parent company, Canon Inc. (NYSE:CAJ), ranks third overall in U.S. patents granted in 2017† and is one of Fortune Magazine's World's Most Admired Companies in 2018. Canon U.S.A. is committed to the highest level of customer satisfaction and loyalty, providing 100 percent U.S.-based service and support for all of the products it distributes in the United States. Canon U.S.A. is dedicated to its Kyosei philosophy of social and environmental responsibility. In 2014, the Canon Americas Headquarters secured LEED® Gold certification, a recognition for the design, construction, operations and maintenance of high-performance green buildings. To keep apprised of the latest news from Canon U.S.A., sign up for the Company's RSS news feed by visiting www.usa.canon.com/rss and follow us on Twitter @CanonUSA. For media inquiries, please contact pr@cusa.canon.com. 1.When 4K Shift is set to ON. 2.Actual hours may vary depending on usage and environment. This is not a guarantee of the life span of individual laser diodes. 3. This device has not been authorized by the rules of the Federal Communications Commission. This device is not, and may not be, offered for sale or lease, or sold or leased, until authorization is obtained. This product has not been tested for compliance with the performance standards for laser products under 21 CFR Part 1040. The product is not, and may not be, offered for sale or sold or leased in the United States until performance standard certifications have been completed.